Most runners have a favorite go-to route; the out-and-back you’ve done a million times, the neighborhood loop you could run with your eyes closed, the trail you’ve seen covered in snow in winter and lush with green in the spring. We got to thinking about how cool it would be to know what local routes runners love and why. 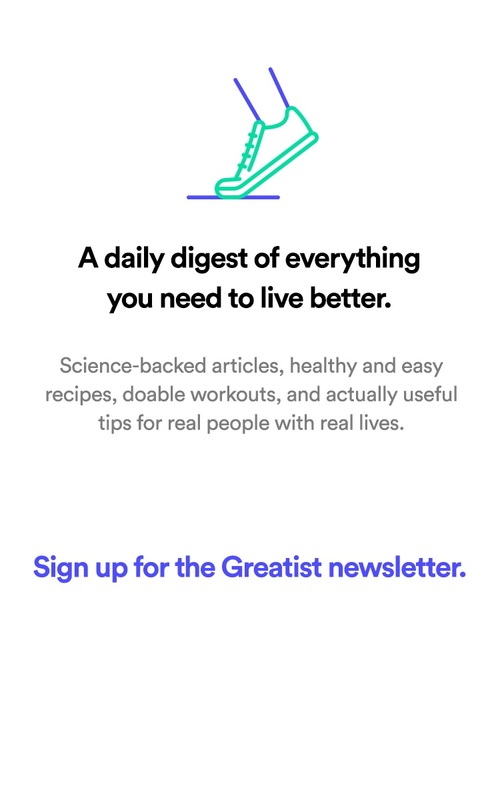 What insider info can they share about the best time to run for minimal traffic, maximum people watching (if that's your thing), or the most beautiful views? Where is the closest place for a delicious post-run meal, and is there parking available near the start? We reached out to all different levels of runners all over the country and asked them to share their favorite routes and what makes them so great. So next time you’re in Atlanta, Boston, Chicago, Seattle, or any of the other cities in this roundup, lace up your sneakers and check out a route that a fellow runner raves about. Start: Enter the trail at the Irwin Street access point. 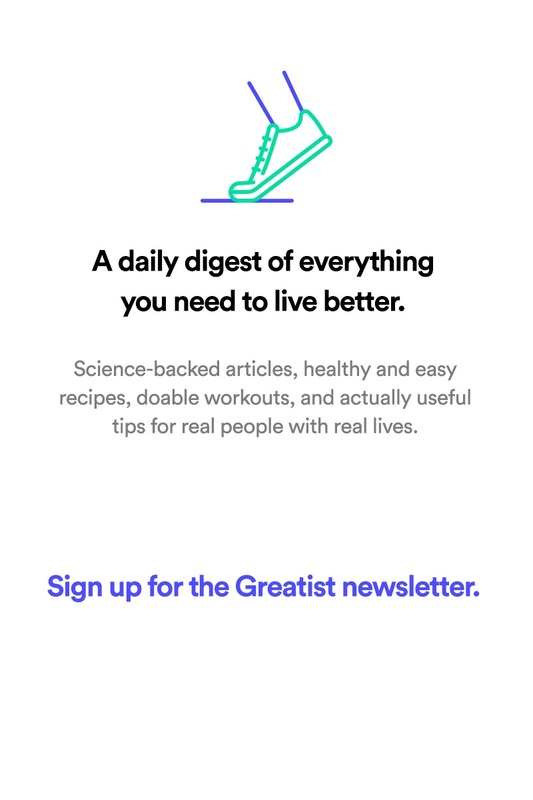 How to get there: You can bike or drive. A paid parking lot is available beside Park Tavern on Monroe Street, and street parking is also available. What you’ll see: Wall art, sculptures, and plants and trees planted by Trees Atlanta. There are also several shops and restaurants along the way so that you can stop for a quick bite or grab some water. The trail also leads into Piedmont Park, one of Atlanta's largest parks. Where to refuel: Parish Food & Goods on North Highland Ave. or Paris on Ponce on Ponce De Leon Place. Best time to tackle this route: Weekdays are less crowded. If you go on a weekend, be ready to share the path with runners, cyclists, and leisurely walkers. Tips: This route is very bike- and dog-friendly. Recommended by Toni Carey, writer and co-founder of Black Girls RUN! Start: Popular starting places include Auditorium Shores on West Riverside Drive, or under the MoPac/Loop 1 bridge. The trail runs through downtown and you can enter at multiple points. How to get there: Walk, drive, or take the bus. Walk from downtown or park under the MoPac/Loop 1 bridge at Stafford Drive. You can also park around Austin High School or on nearby side streets. Auditorium Shores is serviced by bus route 10. What you’ll see: There are great views all along the trail. You'll see downtown Austin and many of the landmarks that make the city unique, as well as some areas that are shaded and have a somewhat secluded feeling. 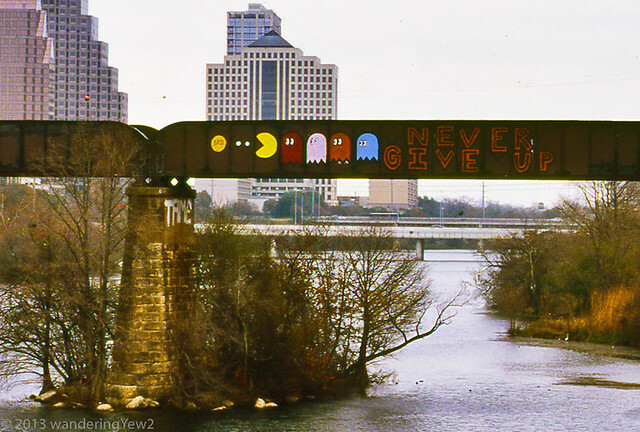 Highlights include: Stevie Ray Vaughn memorial, the interesting graffiti on the railroad bridge (the Pac-Man is my favorite), the pedestrian bridge, and Zilker Park. 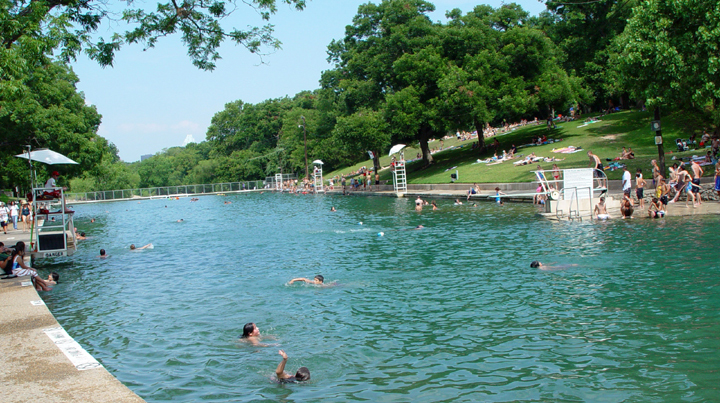 You'll also run close to Barton Springs Pool, which is a natural spring fed pool that is 68 degrees year round. The trail is a great place to people-watch, as it's a social hub for runners, cyclists, and walkers. 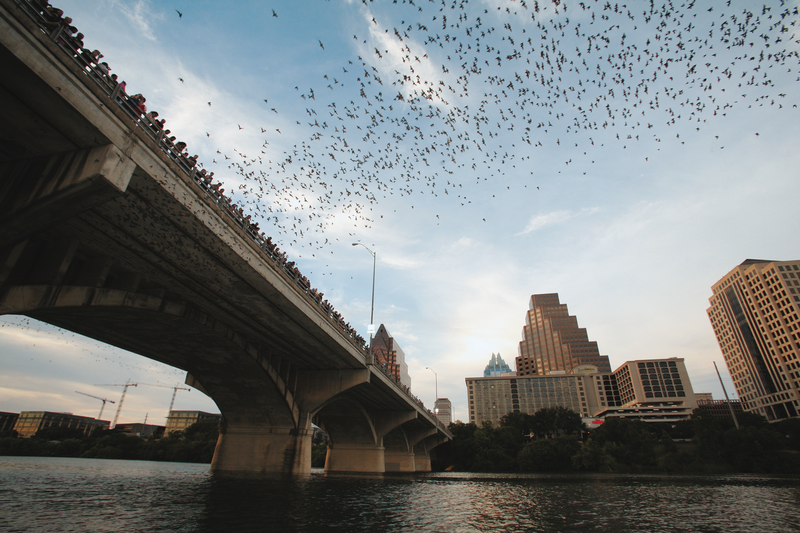 Both sides of the trail also cross under the Ann W. Richards Congress Ave. Bridge, where at dusk during the summer, you can see the largest colony of Mexican free-tail bats in North America. The newly opened boardwalk also makes for a fun experience, great views, and now ensures the entire loop can be done without getting on a road or having to cross the freeway. Where to refuel: Shady Grove on Barton Springs Road or Austin Java Cafe on West 2nd Street. Best time to tackle this route: After work on weekdays and weekend mornings can get crowded (especially on the western end), but you'll always be able to find space. Tips: There are several water fountains along the trail, and there are often water coolers put out by the local running groups. The trail is also close to great restaurants in the 2nd Street District on the north/downtown side, as well as along Barton Springs Road, which is close to Zilker Park and the MoPac bridge entrance. It's a beautiful run with an eclectic mix of people and scenery! Start: The Hatch Shell is a good place to start. You can then loop around newly built parks. How to get there: Drive (limited street parking will be available) or take the Red Line T to the Charles Street/Massachusetts General Hospital station. Also, depending on where you’re staying you can ask people to direct you to the Charles River Esplanade or the Hatch Shell, both of which are widely known destinations that most locals will be familiar with. What you’ll see: The Charles River, with beautiful trees planted all along the route, and views of the Back Bay and Cambridge. Where to refuel: Cambridge Street Whole Foods is great place to refuel (and get your parking validated!). Best time to tackle this route: You can run it anytime; the path is pretty well lit and there are other people around more or less all day and night. Tips: There may only be one fountain, so bring water with you. There is a public restroom along the way, and there will be occasionally bikers and kids and dogs with a playground along the route, so be cautious. Start: Pick up the Walker Ranch Loop Trail at the trailhead near the Crescent Meadows Parking Lot. How to get there: Driving is your best option unless you want to make it a really long training day and ride your bike or run from Boulder. Take Gross Dam Road to Crescent Meadows Parking Lot and look for signs to the Walker Ranch Loop Trail access route. What you’ll see: This trail has it all: Steep uphill and downhill switchbacks, a rock staircase leading to South Boulder Creek, a rolling meadow that overlooks a historic homestead, mountain bikers, hikers, horses, and tons of wildlife. Just remember: For every tough uphill, there is an equally amazing downhill. This trail does not disappoint. No matter what speed you go, you’ll get an incredible workout. Where to refuel: Boulder offers an incredible array of post-run food and drink. Try The Trident or Ozo (coffee), Turley’s or Walnut Cafe (pancakes), Illegal Pete’s (burritos), Larkburger or Rueben’s (burgers and fries), or Kim and Jake’s (gluten-free cakes and treats). I like them all! Best time to tackle this route: This loop is great anytime, but I would avoid the midday heat if possible. It’s often shaded, but there are stretches that are wide open and even though it’s a little higher altitude than Boulder, it isn’t above tree line. In other words, it could get pretty hot out there. Weekends will be busier, especially since Flagstaff Road is open on the weekends, so if you want a more private run, aim for a weekday. Tips: Bring water and whatever fuel or snacks you'll want on the trail. There are very few water stations in Boulder and zero on the trails. Even though this is a somewhat well-known trail, it will not be highly populated because it’s off the beaten track. I suggest running with a buddy. Either direction you go from the north side trailhead, you will start downhill. If you go right, you roll downhill for a while, and you end on a series of steep uphill switchbacks. If you go left, you fly down the steep switchbacks and you end with a long, winding uphill. Both are fun. Start: Buckingham Fountain on South Columbus Drive. How to get there: Drive, walk from a downtown hotel, or take the Brown Line “L” train to Harold Washington Library and head east towards Lake Michigan. What you’ll see: Start on the path and run around the Shedd Aquarium, which is one of the city's most beautiful views, and through the Field Museum. When you run around the Shedd and take a left, continue down to the Adler Planetarium, where you can pick up the Northerly Island path. That’s more of a nature trail to run and it is a whole loop if you head back to the fountain from there. Where to refuel: The Bongo Room on S. Wabash Ave. Depending that time of year, there are usually vendors around the trail. The Museum Campus area will have stuff too. Best time to tackle this route: Summer weekends are pretty nuts. In the winter you can basically hit the trail anytime. Tips: Just be mindful—it’s a safe city but an urban environment. The area is well trafficked, with plenty of people around the Museum Campus. Ask for directions if you get lost; Chicago is one of the friendliest cities and this is a main highway for anything recreational and active. Start: You can start at the Death Canyon Trailhead or Laurance S. Rockefeller Preserve building. How to get there: Car. Just look for parking areas near trailheads. What you’ll see: The trail takes you in a loop around Phelps Lake looking up in to Death Canyon. There are lots of wildflowers, especially in June and July. You also may see local wildlife like moose, and even bears! Where to refuel: Dornan's, right next to the main entrance. They have a deli and a sit-down restaurant with great pizza (all with great views of the Tetons). Best time to tackle this route: Phelps Lake can see a lot traffic so I would try to go early morning or late afternoon. This will also help you avoid the midday heat. Tips: Starting the trail at the Preserve building is easiest; heading back up to the Death Canyon Trailhead is a bit of a climb. Start: The entrance to the park and the trail is at the top of N. Fuller Avenue in Hollywood. From the intersection of Franklin and Fuller Aves., walk uphill until it dead-ends into the park. How to get there: Driving is basically your best bet unless you live nearby (buses in L.A. are kind of a nightmare). It’s prudent to start looking for parking once you get near N. Fuller and Franklin. On the weekends it can be pretty busy. What you’ll see: The trail is part of a connected trail system that has several routes over multiple ridges. The running trail goes up through the canyon until you reach the summit, at which point you will have absurd views of Los Angeles. You can see the Griffith Observatory to the south, nice big houses of the Hollywood Hills, and, on clear days, the ocean to the West. Exploring the summit a bit will let you see into the San Fernando Valley as well. During the winter you can see to the San Gabriel Mountains that will be covered in snow. Where to refuel: Mendocino Farms is a bit of a hike away (half a mile, but downhill, towards civilization, and with ample parking), but it is absolutely worth it for their fresh and amazing sandwiches and fancy sodas. Best time to tackle this route: I would recommend midday when the weather isn’t too hot since it’ll be empty and time for lunch when you’re finished. Otherwise I would recommend a sunset run—watching the sun go down from the top of Runyon Canyon is absolutely amazing. Tips: It can get hot. There is almost no shade except for when the trail curves back and forth along the canyon wall. It’s also rather steep, so only strong runners can run the entire way. A slow jog is appropriate or even a bit of walking near the top. It can be crowded at times, but there is so much space it usually isn’t an issue. Bring water! Start: Pick up the trail at Old Mill Park on Throckmorton Ave and Old Mill Street. How to get there: By car. There’s ample street parking near Old Mill Park. What you’ll see: Muir Woods, panoramic views of the Pacific Ocean and the San Francisco skyline, streams, wildlife, and the funky NorCal town of Stinson Beach. Where to refuel: Peet’s Coffee in downtown Mill Valley and Surfer’s Grill in Stinson Beach. Best time to tackle this route: The trail is accessible year round, but the late summer and early fall months are my favorites. Weekends tend to be a bit busier, but crowds are usually not much of a factor. Tips: This is a very strenuous route, so be prepared. It can get fairly hot, especially during summer months, so I suggest carrying water. For a really adventurous day, carry a pack with some towels and go for a swim at the beach. Plan on spending the better part of the day on this endeavor. I promise you, it’s well worth it. Start: The beauty of the loop is that you can hop on from almost anywhere in the park, but I prefer to enter the path from the Columbus Circle entrance. 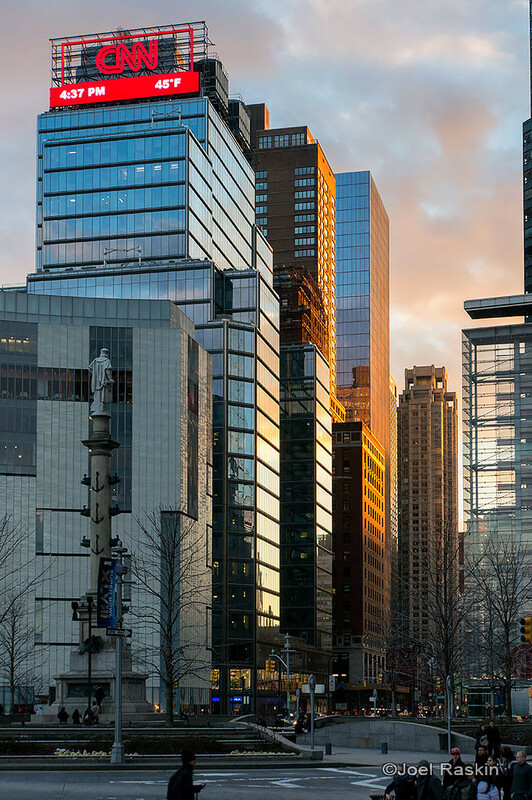 How to get there: A, B, C, D, or 1 train to 59th Street-Columbus Circle. What you’ll see: What won’t you see? My favorite part about running in Central Park is the people-watching. As you're agonizing your way up Cat Hill in the East 70's, be sure to look for the cat statue around E. 74th Street. You'll also want to make sure to keep an eye out the Central Park Boathouse and the newly renovated Tavern on the Green. There's also one little magical moment on the westside: When you catch a glimpse of the CNN tower and a few of the other tall buildings and remember that this gorgeous park is smack dab in the middle of NYC. Where to refuel: If you're looking for a sit-down brunch on the weekends, Central Park Boathouse is where my friends and I usually go. They also have a more casual snack bar. (Although there's no shame in sweaty brunch!) Otherwise, there's a Le Pain Quotidien just north of Sheep Meadow. Best time to tackle this route: If you're going on the weekends, early is the name of the game because it gets crowded. I recommend starting by 8 or 9 a.m. to miss the crowds. On a weekday morning, there's no camaraderie in the world like seeing your fellow morning runners. Tips: If you're confused about where you are, look no further than the trees—you'll find street markers there. There are also plenty of bathrooms and water fountains available. How to get there: Drive to the start; parking is free at the park! What You’ll See: Blue Jacket Park backs right up to Lake Baldwin, which offers an ideal running path. One loop around Lake Baldwin is 2.5 miles. As you run the loop, you'll pass downtown Lake Baldwin, cute townhomes, the beautiful water, and Fleet Peeples Dog Park. Where to refuel: Nature's Table Cafe on Lakemont Avenue. Best time to tackle this route: There’s not much shade, so this route is best run in the early morning or after the sun has begun to set. Tips: There are water fountains scattered throughout Blue Jacket Park, but none on the Baldwin Park lake path. There’s a Publix with a cold water fountain not too far off the path, or you can run into the Fleet Peeples Dog Park on the lake and find a water fountain there. Start: Access the trail from the north at Northwestern Avenue or from the south end of the park at Lincoln Drive. How to get there: Car, bus, or train. Parking is available. You can also take public transportation by using several bus routes (try #27) or the Manayunk/Norristown Regional Rail Line to Wissahickon Station and walking from there. What you’ll see: Wissahickon Creek, a covered bridge, the Valley Green Inn. Where to refuel: Just off Forbidden Drive are Cedars House and Bruno's, and the Valley Green Inn is located near the 2.5-mile marker. Plus, there are plenty of restaurants in Manayunk. Best time to tackle this route: To stay aware of your surroundings, I would recommend running without headphones. Running with a buddy is great idea, too. It is more crowded on the weekends and around weekday rush hours. Forbidden Drive has does have tree canopies, which means more protection from the sun. Tips: There is a water fountain near Valley Green Inn. I wouldn't recommend headphones; because you’re in the woods you need to be mindful of your surroundings. How to get there: By car or ski resort shuttle/bus. Trailhead signage will lead you to parking areas. What you’ll see: The first mile is a dirt road with some pretty forested areas and you may see birds of prey, and trout in the lake. Where to refuel: Roots Cafe in East Millcreek, UT. Best time to tackle this route: The trail hours are not restricted; it’s a run-anytime kind of place. Crowds are not really a problem and the only time to avoid is during a high avalanche advisory in the winter (though those don't happen very often). Other than that the trail is on the cool side of the canyon, so it’s not as nasty and hot in the summer. Tips: Road running shoes or trail running shoes are fine. You may want to bring water and some energy gel or food. This trail is a best fit for someone comfortable with trail running. The trail is well maintained and not crazy technical, but it’s definitely steep in places. How to get there: Car or bus (route 26). Park at Green Lake Park Parking Lot or on a side street. What you’ll see: There are great views of the lake, a small island on the lake's northwest corner called Duck Island and lots of people watching. It is a very popular park for dog walkers, cyclists, rollerbladers, and more. And there is a small beach on the lake's northeast corner. Where to refuel: There is only one in my opinion. Mighty-O Donuts at 2110 N. 55th Street. They are all-organic and serve vegan options along with a great selection of coffee, tea, and cold drinks. It’s about five blocks east of the park and there are a whole bunch of little shops and restaurants in the area. There is also on-street parking in the area. Best time to tackle this route: The park is open 24 hours but it’s usually best around sunrise, during the afternoon and evenings, and on weekends. Tips: It is a very popular park for dog walkers, cyclists, rollerbladers, and more. It is mostly crushed gravel, with some paved areas. What you’ll see: This route is basically why runners live in Florida—it's gorgeous and mostly along the water. Davis Island is an island next to downtown Tampa with quiet roads that are perfect for runners and cyclists. The loop around Davis Island will take you through picturesque neighborhoods and past gorgeous Florida homes. The turnaround point brings you to the top of the island, where you'll be surrounded by water. Be on the lookout for dolphins on your run. They've been known to make their appearance in the early morning hours. Where to refuel: Indigo Coffee in Hyde Park. Best time to tackle this route: This trail is great all times of day, but be warned, this is Florida and it gets pretty hot and sticky in the afternoon. The trail is also fairly crowded during peak running times—mornings, evenings, and weekends. Tips: There are a couple of water fountains around Davis Island near the airport. Start: Start in the small parking lot off Beach Drive in Maryland near Boundary Bridge, just north of the Maryland-Washington, D.C. border. The Valley Trail is marked blue and runs south into D.C. and parallel to Beach Drive and Rock Creek. How to get there: A car or bike is necessary to get to the parking lot at the start of the trail (unless you want to run there!). What you’ll see: You'll see everything Rock Creek Park has to offer, like a gorgeous stream littered with rocks and boulders in the heart of the nation's capital. With plenty of elevation changes, you'll enjoy the winding trail as if you're miles from civilization. If you're lucky, you may even see deer, owls, hawks, or snakes. Where to refuel: Highlands Restaurant on 14th Street between Crittenden and Decatur streets, NW. Best time to tackle this route: Rock Creek Park gets quite busy with walkers and runners on the weekends, so try to go midday during the week if you prefer to run without too many other people around. Tips: The Valley Trail offers many types of trail running: Smooth, dirt paths give way to narrow, technical terrain quite quickly, with some large hills thrown in for good measure. There are several water fountains along Beach Drive near the Valley Trail. The first is just south of the Riley Spring Bridge and the second is about a quarter mile north of the Military Drive overpass near the bathrooms. Recommended by USA Track and Field certified coach and founder of Strength Running, Jason Fitzgerald. Submissions have been condensed and edited for length and clarity.